How to manage those Innovations? This is part of my ongoing series exploring Innovation, Lean, Lean Startup, and Agile. A few days ago I wrote about how the Lean Product Development method at Toyota essentially builds a Skunk Works around a new technology. This concept was popularized by the Lockheed Martin Skunk Works, which produced some of the most amazing aircrafts ever created, including the fastest plane ever made, the SR-71 Blackbird, which was designed in the mid 70’s. In a similar fashion to Toyota, Lockheed relied heavily on existing technologies to drive down the cost of a new break through innovation. This allowed the Engineers to focus more energy on the few systems that truly required breakthrough engineering and thinking. Existing components for the bulk of the design also significantly reduced costs as the engineers did not have to design everything from scratch and could rely on standardized or consistent components at interfaces. This means the cost was lower using an already designed part, the part could be purchased at economies of scale, and the engineering work on new components was reduced because of they didn’t need to design interfaces. This approach is seen as a best practice not just by Toyota and Lockheed, but Christensen argues this approach should be applied for any sort of disruptive innovation at a large company. This is required because of the risk of cannibalization of existing sales, lack of alignment with the needs of existing customers (doesn’t meet performance needs), and wins that might be small for the overall organization are huge for the new team. The alignment between wins and team help cement the team as successful and continue to shelter it from unrealistic demands from the broader organization. In the Innovation Machine the author argues this is the approach that the most successful companies at innovation use. It helps companies become serial innovators and continually disrupt their markets and industries. Furthermore, the small wins for a new team doesn’t mean that these companies can’t have extremely aggressive goals for these internal startups. In fact, it’s likely many of them have billion dollar goals within 5 years for them, such as IBM has for their internal startups. However, the funding and the organizational structure is sheltered for a short amount of time and protected from the normal funding cycle that other portions of the organization are subject to. This is to ensure investment in future innovations that have a great deal of uncertainty. The added benefit of these internal ventures is that the leadership of the entire organization can decide to use them as a means to change how the organization operates. For example, in the case of the Macintosh, re-integrating the Mac mini-company back into Apple forced massive changes in the way everyone worked. If the work processes are more efficient in the Skunk Works it is key that those processes are adopted by the business unit that will eventually house that new innovation. If the Skunk Works is using Lean processes and Lean startup practices integrating into the rest of the organization is going to be difficult unless those leaders are helped to get on board with the methodological approaches. This will take time but will certainly be worth it. This is the approach that GE is taking for their new engine development. They essentially used the Lean Startup to develop an MVP by using a Skunk Works/Lean approach where they leveraged an existing engine to move the technology in a new direction with customer feedback the whole way. For companies to be successful in deploying these approaches it will be key to to develop a safe place for them to experiment. Learn and grow away from the unrealistic expectations of a mature idea, when the idea is living in a space of extreme uncertainty. In yesterday’s article I talked about how you can use a product development approach called Set Based Concurrent Design (SBCD) to avoid some of the risks associated with developing a disruptive design regardless of how integrated or modular a given technology and its platforms are. Before that I had written about a concept called Lean Canvas to include questions associated with disruption to help push the initial design into a more disruptive place to maximize the likelihood of success. In “Running Lean” the author, either knowingly or unknowingly emulated the benefits of SBCD whenever he fully described his approach for creating Lean Canvases. Ash Maurya recommended that for any given startup to initially start with multiple different views of the initial Lean Canvas which could represent different solutions, problems, customer sets, and metrics. Each one of these is to be discussed with potential customers in interviews. However, once you understand your customer, you’ll need to begin developing your solution. In the case of a piece of software it may be easiest to simply caret multiple wireframe mock ups that emulate the SBCD. While with physical products, you’ll need to start with several mock ups and ideally multiple different specifications for components within the design. This is important as you may need to mix and match components of your physical design based on the niche customer set that you are targeting. The best result may end up forcing you to create a product that might be difficult to make if you don’t plan for the different specification interactions from the beginning. While building your product as you look at each different iteration it is important to continue asking if the actual solution continues to be disruptive or if it has slid into a less disruptive niche in the market. It is also vital that you still are aware if the interaction between the changes in your product and how it impacts your customers. If your potential customer decide that there are too many features you may have pushed yourself out of the initial niches you were striving for. This will also mean you’re moving into a market space that will force you to compete head on with your competitors. Using these three tools, questions for disruptions, lean canvas, and setbased concurrent design, will help speed the decision to continue pursuing a specific product, problem, and customer set. The point of this early process is to speed learning as quickly as possible and the B-M-L approach coupled with a set of Lean Cavnases and Products will help rapidly increase that knowledge set. Especially when using tools to help determine the trade-offs between your choices. Finally, with continual engagement with your customers and products that are narrowing down towards a completed solution, you may find that your sets of products could become a family of products. This means that your learning may even be more valuable than before. 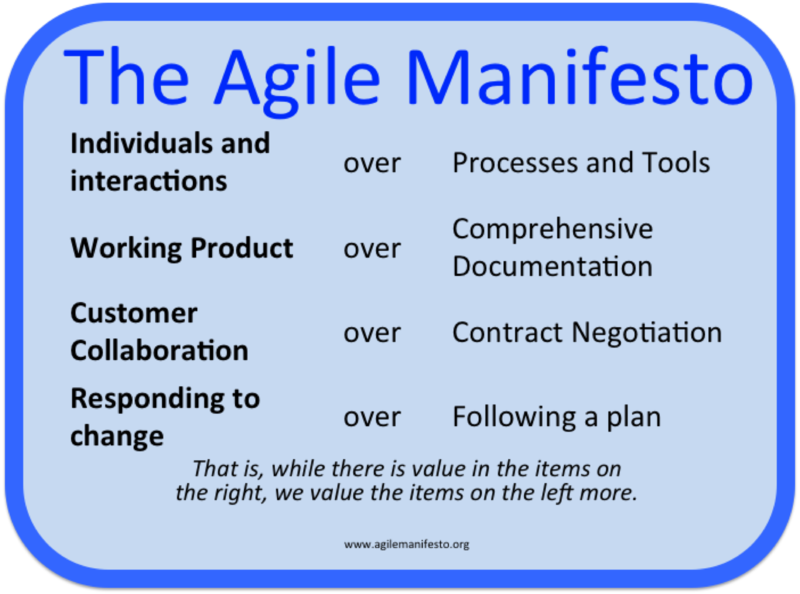 This is another portion of my on-going series for Innovation, Lean, Lean Startup, and Agile, see my last one here. So far we’ve talked about how to combine some of the various theories together. For example looking how Lean and Agile work together or Lean startup and Lean work together. Similarly we looked briefly at how Lean Startup and Agile can be meshed, but haven’t discussed this much. Today we’re going to look at how the Lean Product Development methodology can be combined with the theories purported in the Theory of Disruption. I will look at how these can be combined with yesterdays article tomorrow. Lean Product Development is a natural outgrowth of Lean manufacturing. It is how Toyota is able to continuously develop new products at a faster rate than their North American competitors. It is how Toyota is able to create new designs that are extremely high quality and disruptive to the market. In the Innovator’s Solution, Christensen argues that integration and modularity are on a swinging pendulum where due to the constraints on the “not good enough” technology, that a more integrative approach is required because a fully modular design would reduce performance below thresholds that customers would be willing to pay for. Christensen argues that this would occur because relationships between firms dictate how new technologies can be developed. Whenever firms work jointly on a technology there must be agreements in terms how the components interconnect with each other. These underlying interfaces between technologies evolve much more slowly whenever there are multiple firms are working at the interface of these technologies. Allen Ward writes about Toyota’s methodology for product development. He calls this approach Set Based Concurrent Design, where there are multiple different designs for a given new product from the start. For the case of the Prius, Toyota started the process with incredibly lofty goals and over 20 initial designs. These designs were kept loose initially, until they were reduced down to four that were selected to be turned into clay molds. During this time Toyota had been working closely with their suppliers, where they had no plans to insource more of their components than for a typical car. As it stands Toyota uses suppliers to provide roughly 75% of components to their cars, while focusing on the hardest components like the Engine and body. Similarly to a gas car, for the Prius Toyota elected to keep ownership of the drive train, and the hybrid engine systems. Otherwise everything else would be managed in a similar process as any other car. To manage for the uncertainty of their four designs, they provided their suppliers with a range of requirements. Engineers at Toyota and their suppliers developed a range of “Trade-off” curves, which provide the ranges of trades-offs between different features and the limitations of those features. For example, engine vibration will have a trade-off with the tolerances of the Pistons. These trade-off curves increase the rate of learning for a given product and reduces the risk for a new product development. This means with more information shared between companies there is less need for companies to oscillate between heavily integrated designs and modular designs. For an organization like Toyota the desire to share information and creating a formal process to enable disruptive innovation without owning the entire new product is a huge advantage for the organization. Toyota is actively investing in new capabilities and disrupting their competition. This of course doesn’t disprove what Christensen is saying though. This approach has worked well for Toyota but has not been adopted by many other organizations. This is one of the problems that companies are having with disruptive technology. Furthermore, Toyota inherently turns new product development into a pseudo skunk works, which is what Christensen recommends for these ventures, by making their Chief Engineer a mini CEO for the product as well as dedicating, or as close as possible, engineering and manufacturing resources to the tasks. Finally, Toyota focuses on a few key elements that will be disruptive while reusing a great deal of older technologies maximizing technology reuse and learning from historic projects.